that this website may contain images and voices of people who have died. 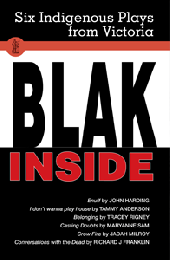 WELCOME to BlakStage, an international gateway to Australian Indigenous playwriting. Developed under the artistic guidance of Indigenous writers and theatre-makers, BlakStage provides a starting point for a journey to the heart of this extraordinary and rapidly evolving body of work, grounded in ancient storytelling tradition. Here you’ll find groundbreaking early works alongside noteworthy newcomers. In addition to playscripts, you’ll find interviews, videos, news, photos and production histories as well as cultural protocols and teaching guides for the respectful use and study of Indigenous stories. The Australian Script Centre acknowledges Aboriginal and Torres Strait Islander peoples as the traditional custodians of Australia and its territories. 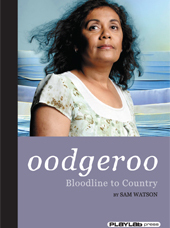 We honour their living culture and their continuing relationship with this land. 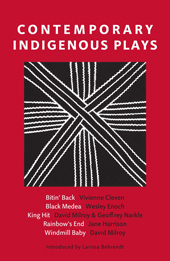 We thank the following organisations and individuals who contributed time and expertise to bring BlakStage to fruition; Cathy Craigie, Liza-Mare Syron, Ray Kelly, Diat Alferink, Maryrose Casey, Wesley Enoch, Yirra Yaakin Aboriginal Theatre Company, Ilbijerri Theatre Company, Magabala Books, Black Words, Kurruru Youth Performing Arts, Kyle Morrison and Jane Harrison. The Australian Script Centre is an accredited partner to the Aboriginal and Torres Strait Islander Arts Board of the Australia Council for the Arts under the National Indigenous Arts Infrastructure Program. 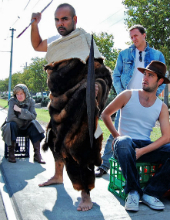 This project has been assisted by the Sidney Myer Fund and by the Australian Government through the Australia Council for the Arts, its arts funding and advisory body.